I've heard it said that everyone looks better by candlelight. And, I've got to agree. Whether over a hushed dinner, or by a votive flickering on your night stand, a candle can instantly project a mood of serenity, intimacy, and spirituality. 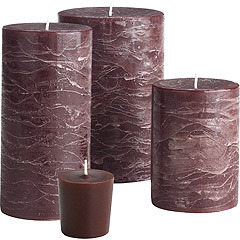 In fact, candles were one of the spring boards for my love of interior design. I used to frequent Pier 1 Imports for Asian Spice candles so often, that I slowly began branching out into other venues and accents in the store, and the rest is history. Anyways, in part, this post is a bit of a lament. 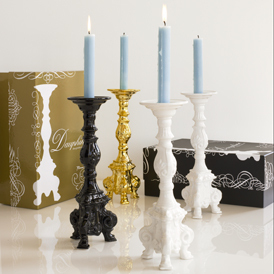 When I first began purchasing candles, approximately 8 years ago, candles were everywhere- in every design magazine, and on every tablescape. Candles were the go-to accessory for home decor for years. 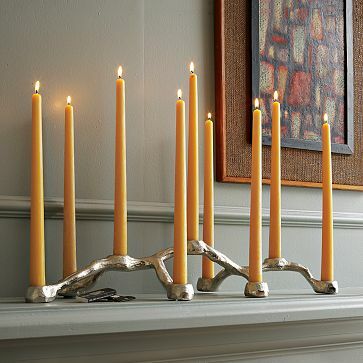 And as the scene has changed, I've certainly noticed the departure of candles as a forefront design element. Why is that? Are we too afraid of burning our houses down to enjoy their glimmer and subtle fragrance? 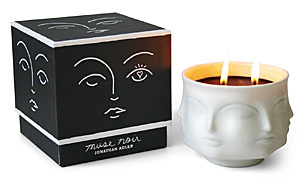 For myself, the lure has vanguished a bit, because, in the candle world, there really isn't much newness or variety. Sure, there's decorative holders and an array of colors, but, the design portion of the candle never really changes. 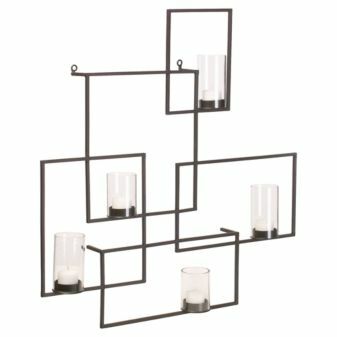 You just get 4 sizes: stick, tea light, votive, and pillar. I also am a bit inclined to suspect that the popularity of the LED light had something to do with the decline of the candle. With LEDs, there is no mess, and a product that'll last for much longer for a better price. Call me old fashioned, but I'd still prefer the candle. There's something timeless and even mystical about it, that transcends all boundaries, and I believe is an item that can seamlessly fit into any decor scheme.